Natural Compound in Cypress Trees Might Epigenetically Protect Against Cancer | What is Epigenetics? A chemical in an essential oil extracted from tree bark might actually reduce cancer growth. Researchers are finding that hinokitiol, a compound found in some cypress trees, not only has anti-infective and anti-oxidative properties, but it might also impact the epigenetic tags on top of DNA and reactivate genes that fight against tumor growth. The epigenetic mechanism known as DNA methylation has been crucial to our understanding of cancer. Irregular methylation suppresses genes that work to reduce tumor growth, which is why pharmaceutical companies have developed epigenetic anti-cancer drugs, such as DNMT inhibitors, that reverse detrimental methylation status. However, these drugs often come with unwanted side effects like DNA mutagenesis and cytotoxicity. “Hinokitiol has potential as a novel DNMT inhibitor and could be associated with DNA methylation and thus provide hinokitiol as new therapeutic candidate of colon cancer,” reported a team of researchers from Korea University College of Medicine. This natural compound which possesses several health benefits was first discovered in Taiwanese hinoki trees in 1936 and is a naturally derived extract from cypress trees. An increasing amount of natural substances that are believed to have health-boosting qualities are being investigated by epigenetics researchers. For instance, a Chinese herb mixture called Wutou decoction was recently shown to alleviate arthritis by triggering epigenetic mechanisms. In their study published in BMC Cell Biology, the group treated colon cancer cells with different doses of hinokitiol. It was found to inhibit colon cancer cell viability without harming normal colon cells. After extracting nuclear proteins using EpiGentek’s EpiQuik Nuclear Extraction Kit and performing a series of tests, they uncovered a decrease in the protein expression of DNMT1 as well as UHRF1, which plays a pivotal role in carcinogenesis via silencing genes. TET enzymes work to initiate DNA demethylation by converting methylated cytosine, or 5-methylcytosine (5-mc) into hydroxymethylated cytosine, or 5-hydroxymethylated cytosine (5-hmC). TET1 activity was increased as a result of hinokitiol, which suggests a connection of hinokitiol with DNA demethylation. In order to measure 5-mC and 5-hmC levels, the team used the MethylFlash Methylated DNA Quantification Kit and MethylFlash Hydroxymethylated DNA Quantification Kit in the fluorometric version from EpiGentek. The team discovered that 5-hmC levels were significantly enhanced, although 5-mC was not affected. “These results indicate that hinokitiol may cause DNA demethylation through the downregulation of DNMT1 as well as the upregulation of TET1 without reducing the level of 5-mC in colon cancer cells,” concluded the researchers. Perhaps now more than ever we are starting to delve into the potential epigenetic and molecular underpinnings of alternative medicine, such as herbs or essential oils. 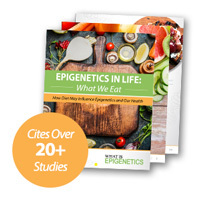 Although many more controlled studies must be conducted in order to determine if these substances can benefit humans in a meaningful way, they still offer an intriguing look into the possible medicinal and epigenetic power of certain holistic approaches. Source: Seo, J.E. et al. (2017). Hinokitiol induces DNA demethylation via DNMT1 and UHRF1 inhibition in colon cancer cells. BMC Cell Biology, 18:14.